Upon realizing his computer is broken, he does what many people would do. 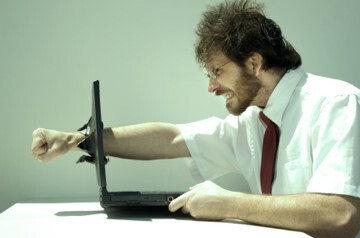 He spends several hours trying to fix his laptop but to no avail! He realizes that he needs new parts for his machine and is not qualified to do the repairs himself. He calls several different computer repair shops, finding out that each of them is already closed. Finally he finds one that is open and brings his computer there. They tell him it will take a week for them to get his files back. Grudgingly Foose accepts. Not only does Foose turn in his project a week late, but he is stuck with a $300 bill at the end and still has no guarantee that all of his files were able to be recovered due to hard drive damage. Ouch! Michael is devastated that his computer broke. He immediately goes to another machine and starts retyping his paper all over again. Luckily, he found a week old version in his email sent box, but he is still days behind. Michael ends up sending his report to his boss at a much lower quality than what was originally written due to time constraints. 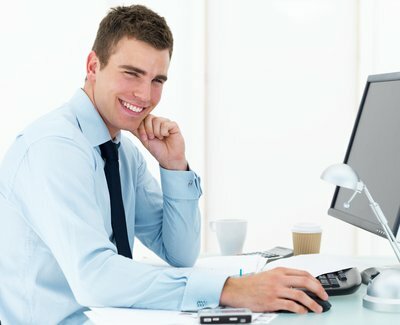 Brett sighs knowing that he lost the last few minutes of work he did and that he will have to eventually buy a new hard drive. He goes into the office early and loads up Carbonite and breathes a sigh of relief. Thankfully his report and all of his most important files have already been automatically backed up by Carbonite. Carbonite is a powerful online backup service. Their software allows users to back up all of their important computer files to the cloud. Because you can set it to back up automatically, users are never at risk of forgetting to back up their documents. The backed up files are accessible no matter where you are as long as you are connected to the internet. Carbonite is even smartphone/tablet accessible with the Carbonite Mobile app. Your files are encrypted before they leave your computer and stored safely offsite at one of Carbonite’s state-of-the-art data centers to ensure protection and privacy. Get your free trial of Carbonite at with the offer code SUNNY13. There is no credit card required! You’ll get two months free if you decide to buy. That’s Carbonite.com and the offer code for two months free is SUNNY13. This entry was posted	on Thursday, June 6th, 2013 at 12:00 PM	and is filed under Reviews. You can follow any responses to this entry through the RSS 2.0 feed. You can leave a response, or trackback from your own site.